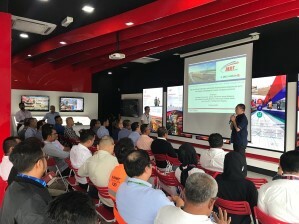 Mass Rapid Transit Corporation Sdn Bhd (MRT Corp) held a project progress update briefing session for Members of Parliament, State Assemblymen and Local Councillors in the work package areas of V201 and V202 (Damansara Damai to Jinjang). 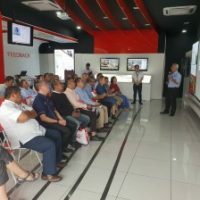 The session was held at the MRT Information Centre, Jalan Sultan Azlan Shah on 24 January 2019. 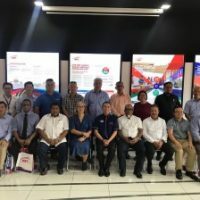 It was attended by YB Elizabeth Wong (ADUN for Bukit Lanjan), Selayang Councillor Encik Fok Wai Mun and representatives from the offices of YB R. Sivarasa (MP for Sungai Buloh), YB Tony Pua (MP for Damansara), YB Lim Lip Eng (MP for Kepong) and YB Mohd Sany Hamzan (ADUN for Taman Templer). 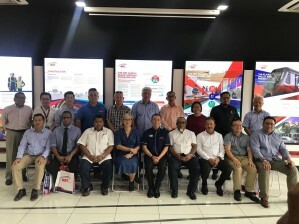 MRT Corp was represented by Dato’ Najmuddin Abdullah, Acting Chief Executive Officer and Director of Strategic Communications and Stakeholder Relations while MMC-Gamuda KVMRT (PDP SSP) Sdn Bhd, the Project Delivery Partner (PDP), was represented by Encik Zamri Hasan, Head of Public Relations and Stakeholder Management. 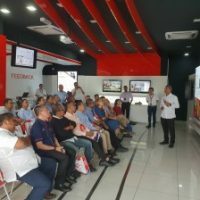 Dato’ Najmuddin gave a welcoming speech to begin the session which was followed by the briefing by Encik Mohar Zainal Abidin, PDP Senior Manager of Public Relations and Stakeholder Management and subsequently, Encik Zamri Shaari, PDP Head of Approvals Management. 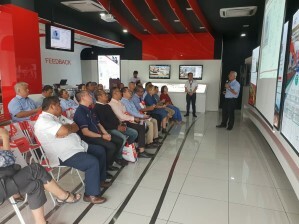 The guests were briefed on the latest construction progress of MRT V201 and V202 packages as well as the recent rationalisation of cost-saving efforts by MRT Corp. 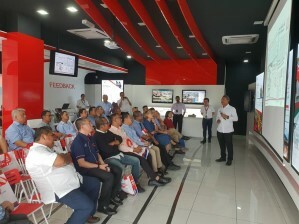 They also shared their feedback and concerns on a number of construction-related issues especially those associated with traffic management. 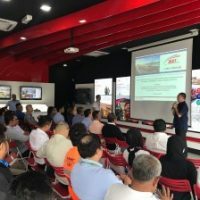 In addressing these issues, MRT Corp pledged its full cooperation with various authorities to minimise the impact of construction works. The session ended with refreshments being served to the guests.